Stand firm in the face of gravity with Ultherapy! If you are looking for a lift for sagging skin or to treat wrinkles on your face, neck or cleavage area without having to take time off work for recovery, then Ultherapy is for you! Ultherapy is a non-invasive anti-aging procedure that uses ultrasound technology to lift and tighten skin, leaving you with younger looking skin without the risks and downtime associated with traditional facelift or necklift surgery. Ultherapy is a safe and proven treatment cleared by the FDA to lift skin in the areas of the eyebrow, face, neck and under the chin, as well as treat lines and wrinkles on the chest or neckline. Only one Ultherapy treatment is needed to significantly reduce the appearance of deep lines and wrinkles, as well as tighten loose skin, with results improving over time. Patients love this procedure because it can be performed during a lunch hour (dependent on the treatment area), allowing you to return to normal activities immediately following the treatment. ltherapy offers treatment on two levels: first an ultrasonic energy is delivered all the way down to the connective tissue below the skin. A different wave of ultrasonic energy is then delivered to stimulate collagen production deep within your skin. The combination of which provides a lifting and tightening effect from the inside out, for a more youthful glow. A special monitor is used to visualize the delivery of the ultrasound energy very focally and precisely to the treatment area under the skin. The results are precision without the need for an incision face or neck lift. Patients begin to see results soon after treatment. Results of smoother skin will continue to improve over the next few months, as the skin’s response to collagen production continues. Some patients experience continual improvement for up to 12 months after treatment and have experienced results lasting years. 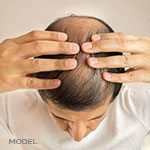 The price of an Ultherapy treatment is greatly dependent on the area(s) being treated. 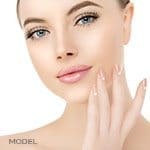 Since the treatment is so personalized, the only way to see if you are a candidate for this procedure and to receive a personalized quote is to schedule a consultation with a MilfordMD Aesthetic Consultant. Just think, in less than an hour – and without any downtime – you’ll be well on your way to tighter, better-fitting skin. Check out the Before & After Ultherapy photos.